There is just this unexplainable grace, class and a sense of great style whenever you see a man on three-quarter shorts. 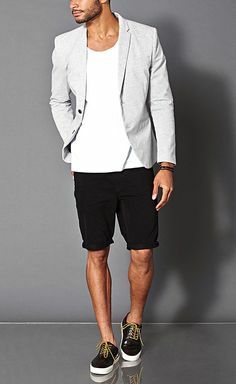 This look (A pair of short sleeve or a long sleeve shirt folded as a short sleeve or 3/4 shirt tucked into a pair of 3/4 shorts with a nice belt, paired with some great shoes... brown or grey) happens to be my favourite causal or semi-formal outfit on men as we talked a bit about here (chidinmainspirations.com/2014/12/guys-how-to-look-like-kings-on-causal.html?spref=tw …) when we were inspiring our men on how to look like the Kings that they are on causal wears. I decided to publish a full post on it. 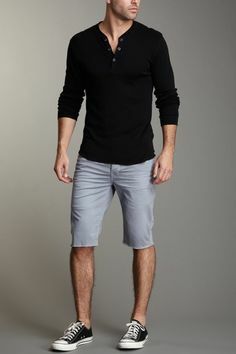 Wearing a 3/4 shorts I believe is a classic example of dressing and looking simple but sophisticated at the same time. 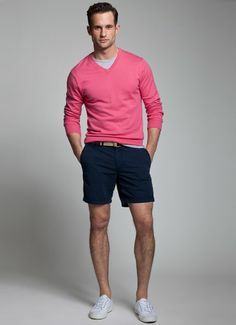 Rather than go on, below are pictures of men looking simple but sophisticated and above all like the Kings that they are on three-quarter shorts. ENJOY! I hope you were inspired by this post? If yes, please do share with others to inspire them too. To get inspired by more posts on fashion, please do search this blog on this blog's search engine with the hashtag fashion e.g #Fashion I hope you love and get inspired by what you find. I'm a fan of short. I wear it a lot. Chi, next time you are posting something similar, ensure you include my picture. This is the second time I'm seeing something like this on this blog.